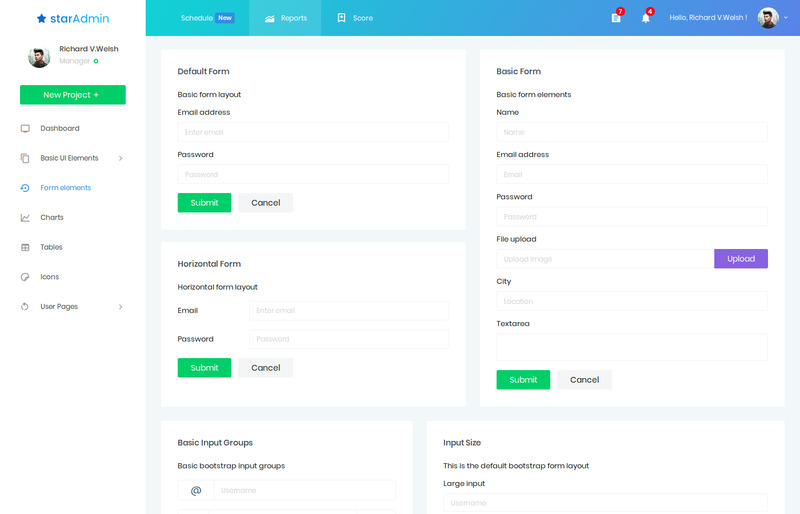 Beautifully designed and well-coded admin template, that comes with excellent support from experts. Built using the latest technologies and up to date with the latest trends and tools. elegant interface. The pre-built pages of the templates are intuitive and very well-designed. Star Admin is sure to make your development process truly an enjoyable one. functionalities. The template also has complete flexibility to use it in any kind of web application. help you save valuable time. are there to help you out with minimum response time. 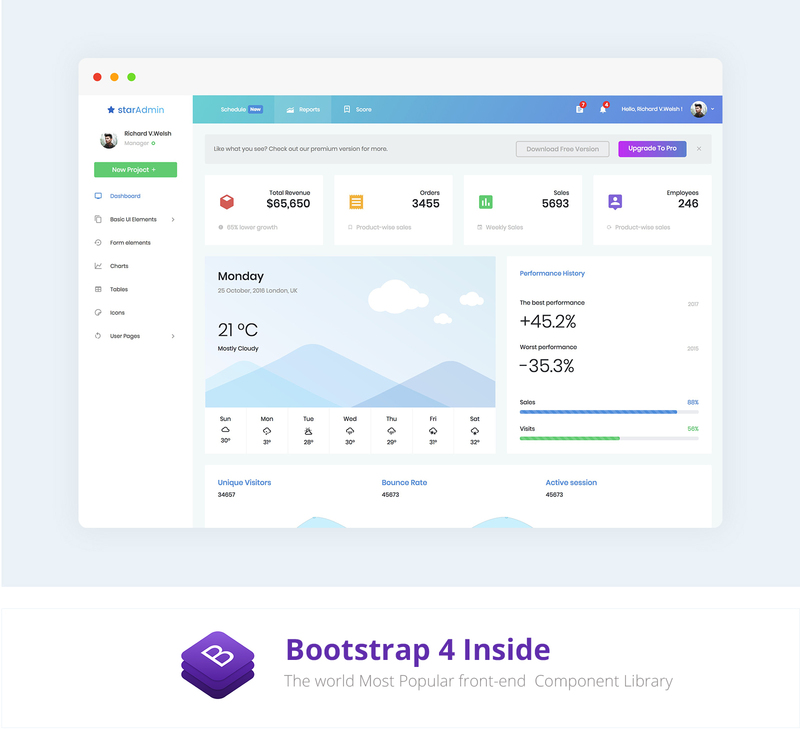 Built with the latest version of Bootstrap, World’s most popular front-end framework. Tested to work perfectly fine with any device of any screen size. Built to make your development easier and more organized using the CSS preprocessor Sass. Loaded with multiple applications including email, to-do list, calendar, gallery etc. More than 20 pre-built sample pages including e-commerce pages.